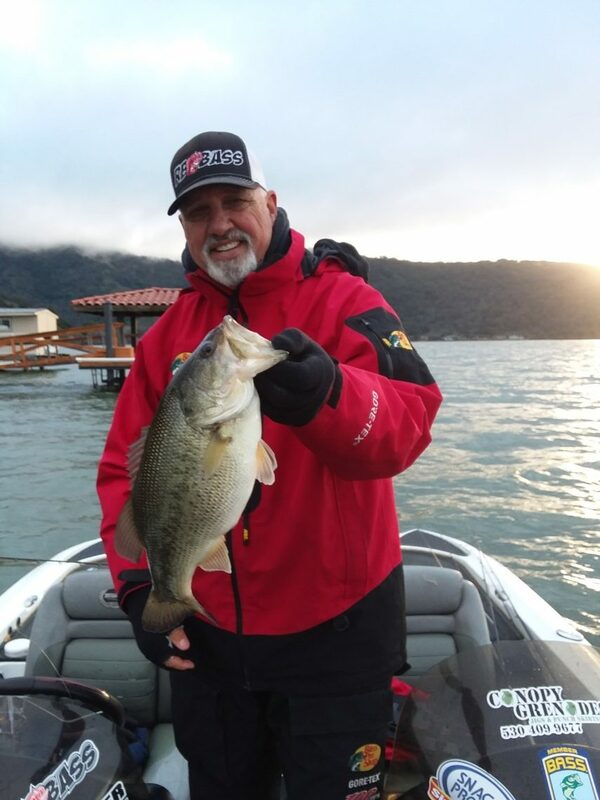 Myself and Fellow RBBass angler Mike Rogers launched from the Clearlake Oaks ramp . 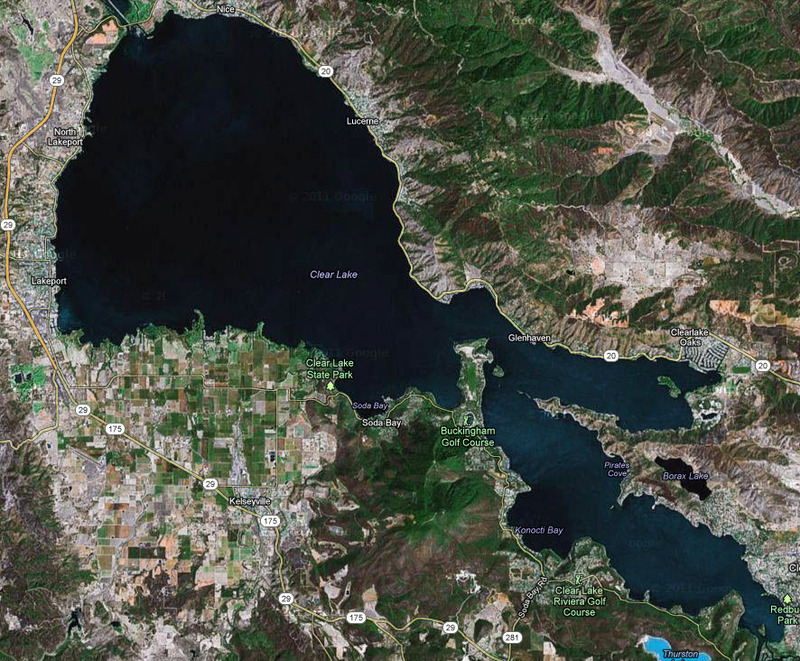 The water mid lake has about three to four feet viability and a temperature ranging from 49 – 55 degrees later in the day. We started the day throwing the A-rig, glide bait’s and a ripbait in the narrows. 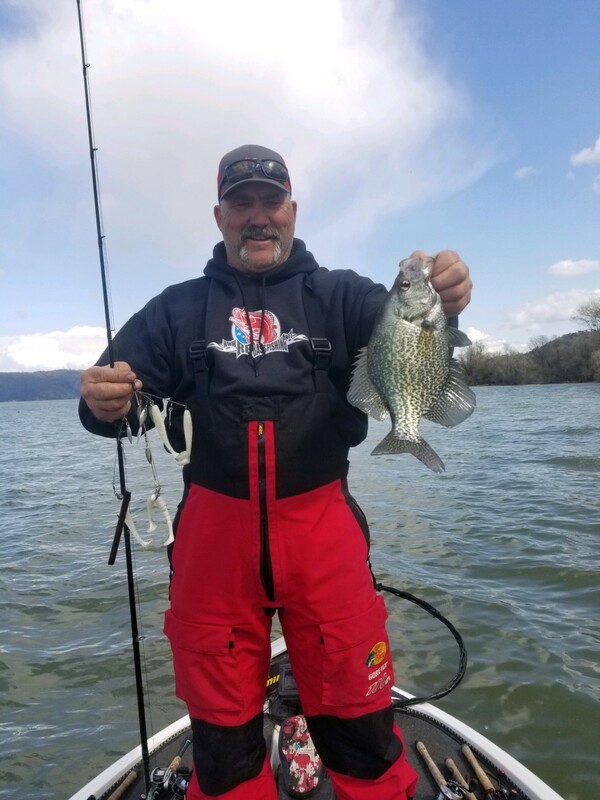 Mike got the only taker on the ripbait . From there we ran to the North West side of the lake and the A-rig bite was on fire. It only took us about ten minutes to catch a five bass limit of fifteen and a half pounds. Next on our list was to run up North to an area we had fish going last week. It rained all day Friday and the water temp up North was ten degrees cooler than the week before at forty nine and chocolate milk in color. We fished from Rodman all the way to little Keys throwing the A-rig, LV-500’s, Dropshot, ripbait and an honest attempt at a flip bite before we finally got a bite. Granted it was the big fish of the day at about five pounds and almost jerked the rod out of my hand on the A-rig. From there we just worked our way South catching one here and there for a total of twenty one and some change (Not including a stud crappie). By now the wind had picked up to a point that it was taking the fun out of the fishing and not really safe for two old farts like us to keep trying so we called it a day. 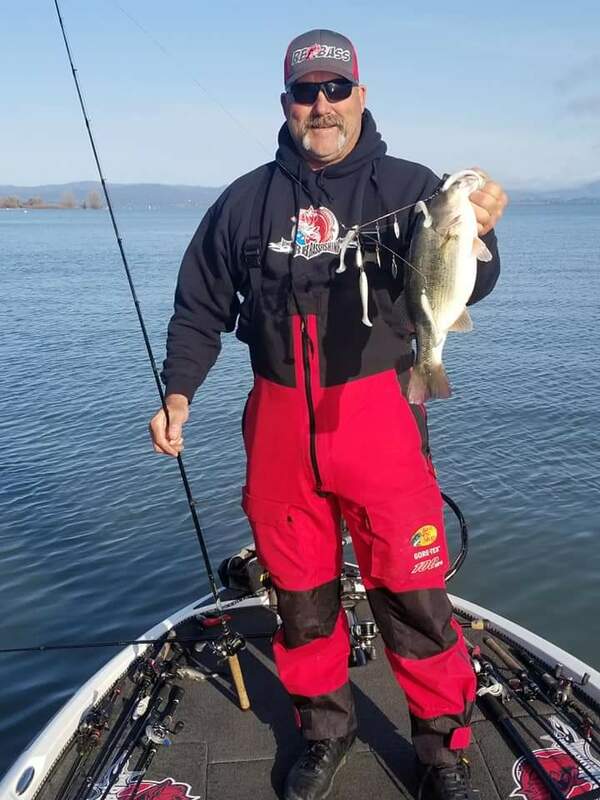 The storm door has re-opened here on Clear Lake for this week and I’m sure it will push the bass back, But some Big Girls are being caught and this lake is always worth the try. Hope this helps some of you out a little and Good Luck Bob Tyler.